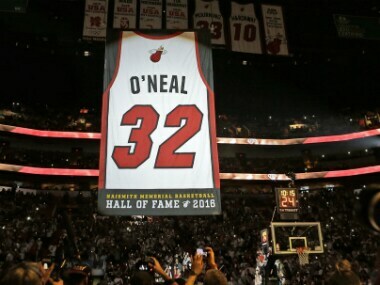 Miami: Shaquille O'Neal fulfilled a promise in 2006 to bring Miami its first NBA championship and the Heat said thank you on Thursday by retiring his No 32 jersey. 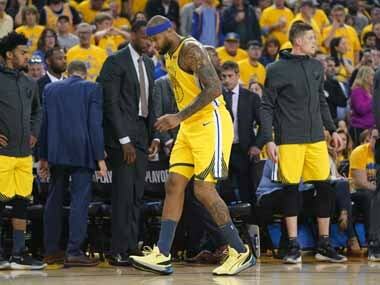 The jersey was lifted to the rafters in an emotional but sometimes light-hearted halftime ceremony that included O'Neal's mother, Lucille, arriving on the court behind the wheel of a scaled-down 18-wheel truck. It was a miniature version -- right down to the words "Diesel Power" written on the side -- of the semi that O'Neal once drove into town when he made that initial promise back in 2004. But the best thing about Thursday night for the Heat was they rallied from a 19-point second-quarter deficit to beat O'Neal former team, the Los Angeles Lakers, 115-107 and snap a three-game losing skid. O'Neal deflected the praise Thursday, thanking Heat boss Pat Riley as well as his teammates, especially star guard Dwyane Wade, who became the other half of the club's one-two scoring punch. "When you win championships, it becomes contagious. I felt like I still had a lot to give I just needed another piece. D-Wade was that piece," O'Neal said. "It was already his team so I wasn't going to redecorate the Christmas tree." Heat coach Erik Spoelstra, whose team trailed by seven points at halftime, said Miami got an emotional lift from listening to Shaq's acceptance speech. "It was like going down memory lane. It felt like 2006," he said. "Shaq engaged the entire crowd with incredible class. "Our players were sitting there with eyes wide open. They saw a vision of what we're trying to build and what the arena is like when you have a legitimate championship-contending team. It was a special presentation." Indeed it was. O'Neal's message didn't go unnoticed by Justise Winslow. He scored a career-high 23 points and Hassan Whiteside had his sixth double-double in a row to lead Miami past the struggling Lakers, who have fallen on hard times since the days of O'Neal and Kobe Bryant. "It was a great environment," said Winslow, who posted a career high in points and a season high in rebounds. "We knew the fans were going to be out here to see Shaq's jersey hanging. We knew it was going to electric, and we wanted to give them a show. It was a lot of fun playing in this arena tonight." Whiteside and Winslow each had 23 points and 13 rebounds. Whiteside has 23 double-doubles this season, tying him for the NBA lead with Russell Westbrook and James Harden. It was the first career double-double for the second-year forward Winslow as the Heat (10-20) snapped their three-game losing streak. All three of those losses came at home. 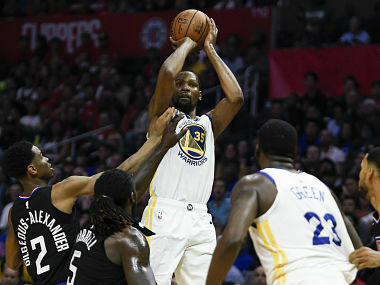 In Los Angeles, despite losing Chris Paul to a hamstring injury, the Los Angeles Clippers beat the San Antonio Spurs 106-101 at Staples Center. 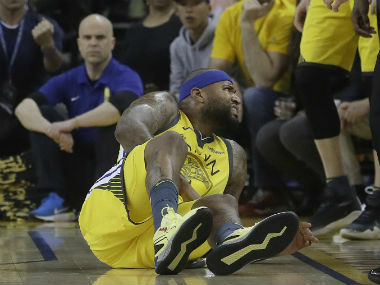 Paul suffered a strained left hamstring early in the third quarter and did not return. He finished with team-high 19 points, six assists and seven rebounds in 23 minutes. Without Paul, the Clippers received a boost from their bench. Marreese Speights had 14 points, seven rebounds and five assists, while Raymond Felton added 13 points. Jamal Crawford chipped in 11 points. The Clippers' reserves outscored the Spurs' bench 58-31. Elsewhere, Isaiah Thomas scored 28 points, including 14 in the fourth quarter, and the Boston Celtics defeated the Indiana Pacers 109-102. 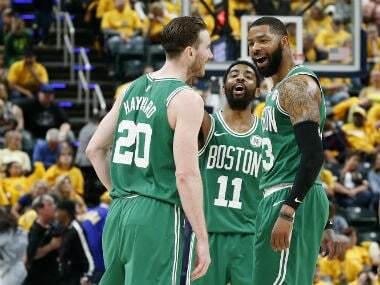 Boston won its fourth in a row, sealing it with two free throws from Thomas and two from Jae Crowder during the final 14 seconds after Indiana closed to within 105-102 on two C.J. Miles free throws with 19 seconds to play. Jeff Teague had a season-high 31 for Indiana, which lost its second straight. Paul George and Miles each had 19 for the Pacers, and Thaddeus Young added 15 points and 12 rebounds.